#4 Where would Barcelona be without Lionel Messi? 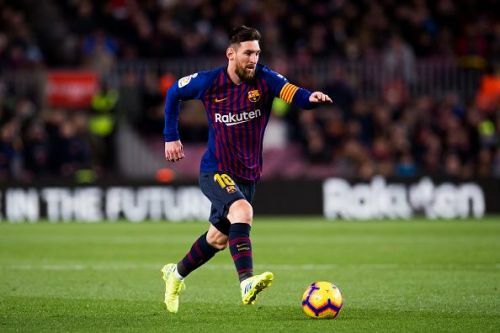 Like countless occasions in the past, Lionel Messi dug Barcelona out of a hole all by himself, as he scored a brace to claim a point for his side. Barcelona trailed 0-2 after 32 minutes, and they needed the Argentine to step up. Step up he did, converting a penalty to halve the deficit heading into the break. Then he pulled a sensational goal out of nowhere to equalise for Barcelona. The curling effort was ingenious, and Neto had absolutely no chance. Messi, however, suffered a thigh problem after scoring the goal, which visibly troubled him for the remainder of the match. He was not moving freely in the later stages, which significantly stunted Barcelona's attacking forays. Every Barca fan, and Valverde, will undoubtedly be praying that it was nothing more than a knock that heals quickly.